In 2015, Rachel Geicke and Mariana Ferreira were two college friends living in the dorms at Boston University when their love for ice cream led to an innovative creation. Using only seven plant-based ingredients, they created a healthy, delicious alternative to the universally beloved dessert — and they quickly realized that they had a game-changing recipe on their hands. By 2016, they launched a successful Kickstarter campaign, and Snow Monkey Superfood Ice Treat was born. Available in five flavors — goji berry, matcha green tea, cacao, cinnamon, and passion fruit — Snow Monkey is vegan, paleo, and non-dairy. Rachel, the CEO, has Celiac disease, which is also why Snow Monkey caters to consumers with food allergies. Each pint of creamy goodness is gluten-free, soy-free, nut-free, and lactose-free. Rachel and Mariana aimed to turn ice cream indulgence into a meal that sustains, nourishes, and fuels us. Full of fiber and antioxidants, a pint of Snow Monkey also contains 21 grams of protein and comes in at only 390-405 calories — and you can find it at the grocery store or order pints online (just check that your location can be delivered to first!). 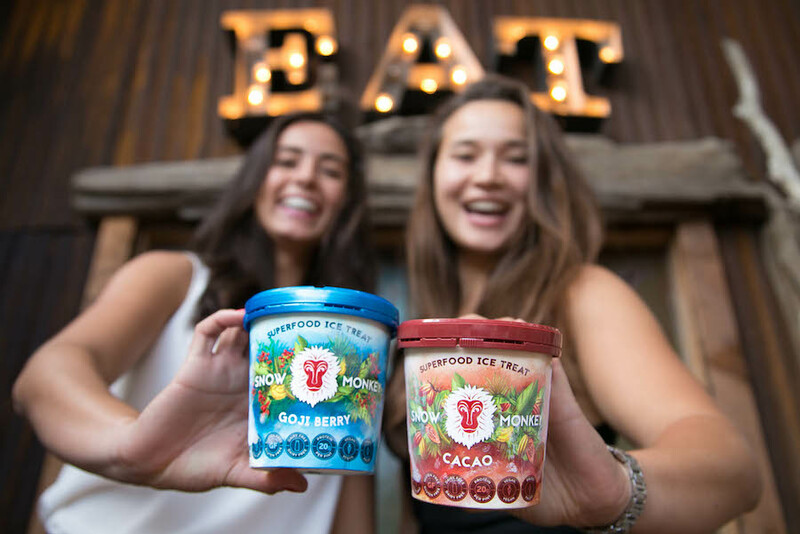 But beyond transforming the ice cream industry, Rachel and Mariana aim to disrupt food systems by providing access to comfort foods that are nutritionally beneficial and environmentally sustainable. We hopped on the phone with Rachel, CEO, and Mariana, COO, to learn more about how two women in their early 20s started their own revolutionary business in a competitive industry. HelloGiggles (HG): As CEO and COO, can you describe your roles and what you do for Snow Monkey on a daily basis? 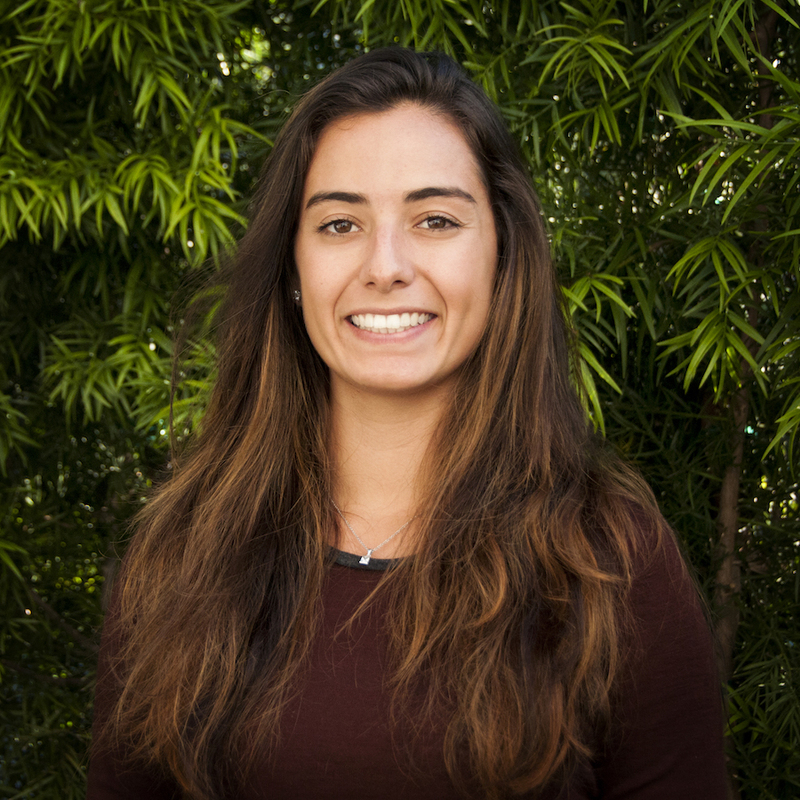 Mariana Ferreira (MF): I’m the COO, and what I do for Snow Monkey is work on everything in terms of our product, logistics, and our finances. So from the moment we say, “Hey, we should try to do a flavor that has goji,” I’ll start working with food scientists to get that flavor to something we can actually bring to market. Next I work with all of our suppliers, and then once that product is in market, I’ll work with the distributors to make sure we get it into the right place so that it can actually go to the stores or to our fulfillment warehouse for our online orders. And then from there, that’s then when Rachel oversees marketing. And then, at the end of the cycle when the products have been sold, I do the invoicing and finances. I’d say I do the majority of the supply chain stuff with the products, as well as working on the innovative ingredients of the products. 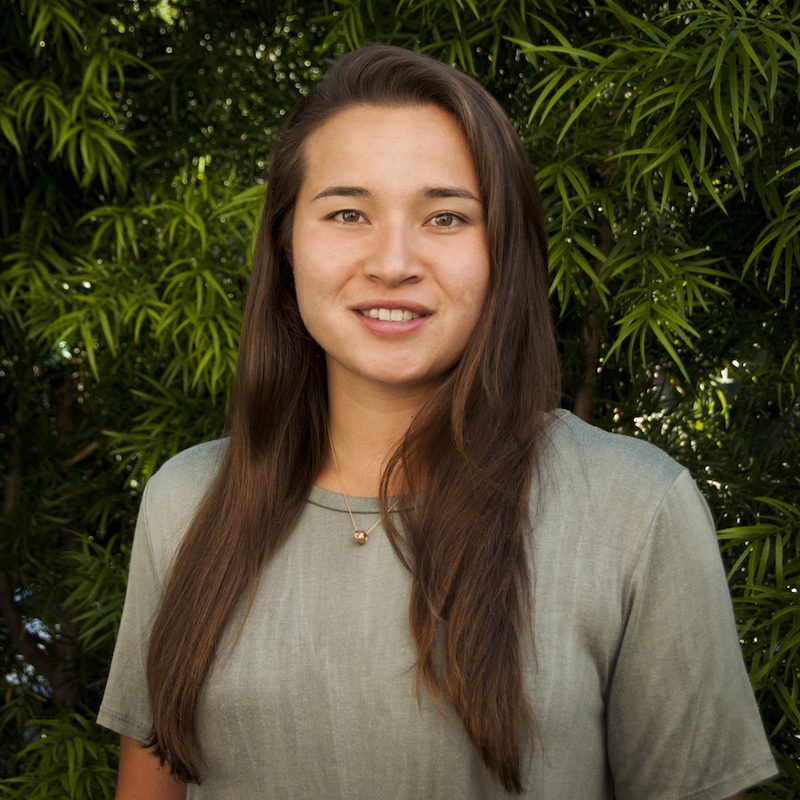 Rachel Geicke (RG): As CEO, my role primarily focuses on the marketing side of things. I work with our marketing director and our project director for everything from our pint design, to our sales strategy for promotion, to our social media and digital media content. And then, on a bigger picture, I also focus on fundraising as the company continues to grow. Another one of my key focuses is on sales. So since it’s almost summertime, and we’re a growing business, we’re really looking at aggressively growing our distribution on shelf so that we can continue like meeting needs of customers who want us in other states. I would say right now my day to day is probably predominantly focused on following up with our brokers or buyers at grocery stores. Trying to figure out new and cool placement for Snow Monkey that’s going to reach our tribe. HG: After reading about you both on the Snow Monkey website, it’s clear that you see business as an important agent of social change and social progression. Why did you choose the food industry specifically to forward that mission? RG: Well I would say it happened really organically, so maybe the food industry chose us. It really just happened out of passion, and also us realizing there was such a big chance to create opportunities for people to fuel their body with delicious and nutritious food. And the fact that we were able to deliver that through ice cream — we just thought it was such a win/win because ice cream is America’s favorite dessert. But there is a lot of controversy around how people feel about eating ice cream, and a lot of guilt, and it’s something that we indulge in, and we feel guilty about after. So when we realized what we were sitting on when we had our batches in our dorm room, and we were calculating the math, we were like, “Oh my God, this is so tasty!” And the nutritional profile looks amazing. We could eat this every day, and then when we would run out of time to make it, we’d go looking on the grocery shelves for something to supplement it. We couldn’t find a frozen treat that still embodied nutritious, delicious, and functional, and that’s when we realized that there was so much opportunity for us to share this. When it comes to the youth, food education, and the lack of access — it’s a big issue nationwide. We thought that ice cream would be a vehicle we could really use to help inspire the younger generation to make healthier changes every day. So, it happened organically, but the more and more we realized what we could do with it, we just felt so compelled to revolutionize the frozen aisle. HG: How long did it take you both to get Snow Monkey up and running? Did you have a support system? MF: So we started selling this in our dorm room when we were back in college. The concept was born in 2015, and at that point, really, we were just making calls and trying to understand what it would mean to even have a product on the market. I would say we officially launched it when we did our Kickstarter in 2016 — that was when we decided that we were really going to focus on this. It was like, okay, now we have the product. We have a name for it. All of those things. Let’s see if people like it. We put it online, and that was the biggest learning moment for us from a consumer standpoint. You get hundreds of people that are able to see this, give you thoughts, and ask questions. After we fulfilled the Kickstarter, we shipped Snow Monkey out to people in 42 states. We spent the next several months realizing people actually want to pay for this; they actually like the product, so we’re on to something. And then we spent several months working on how to get it into the market. What’s our actual product going to look like? We launched our pint in January of last year, and throughout this entire time, we’ve been pretty lucky. We’ve gotten a lot of good mentors and a lot of good advice. Whenever we had a question, we never wanted to be the type of people to say, “Oh, I’ll just figure it out,” or “Hard work will get me there”. If we don’t know something, we’re going to ask. And I think that’s one of the main reasons why we’re able to grow as fast as we have between January of last year and now. RF: Financially, how we got it off the ground was, prior to launching our Kickstarter, we won a new venture competition and received university grants from BU. So $21,000 from BU, and that really helped us find our MVP, and find a product that we could officially sell on Kickstarter. And then our Kickstarter was 100% funded in four days, and 180% funded over all. So we were able to then leverage the profit we made from Kickstarter to create our version 2.0 of Snow Monkey, which we then launched into market. And then for most of 2017, we really bootstrapped the company with a little bit of contributed capital, but operated like a startup. This year, we’ve been heavily reliant on fundraising — we’re young, so we don’t get free credit terms. Cash is really king. HG: What advice do you have for young women who want to start their own business? MF: Something that’s interesting about being an entrepreneur — and a young female entrepreneur — is that a lot of times if we’re having a meeting with a supplier or manufacturer, I’ll talk them over the phone first. Then I show up places, and people don’t really know who I am because I’m 23 and probably look like I’m 19 — I get told that a lot. So it’s how you present yourself, how you show that you’re on top of everything, being sure to ask questions — I think that’s all very important. It’s been a learning experience for me to understand the dynamics in those situations. RG: My personal choice to pursue Snow Monkey full-time, instead of going into real estate or finance, happened when I really looked at the potential of what we had in front of us. We had to really bring something innovative to the market, and we were having so much fun creating it and were so personally invested in the product — like we are the number one consumers of Snow Monkey. I realized the risk of not doing it was greater than the risk of doing it. And I think that if anyone has that kind of feeling about an idea, then they should go for it. Because there’s always risks associated with a startup no matter your expertise or your age; it’s just the nature of entrepreneurship. But I think there really is only one life and one chance for a window of opportunity. And I personally prefer to try it, potentially fail, and learn something, and not to live in regret. 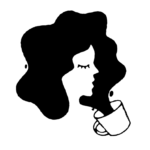 Right now, there’s also such movement, comraderie, support, and excitement around female empowerment and female entrepreneurs. So for any young women who are thinking about it, I would say the timing and the cards are in your favor, too. HG: Has there been an aspect of running your own business that you didn’t expect? RG: Something that really surprised me on our journey so far is that the ecosystem around startups — especially in the food world — is so nurturing. People like CEOs of huge companies that we would aspire to be similar to in, like, ten years have literally said “When do you guys want to talk?” And they chatted with us for hours, answering questions that I’m sure are super basic to them but incredibly helpful for us. They just love to see that kind of energy and innovation. And I kind of have this mentality of pay it forward — so for anyone that is going to pursue an idea, or feels a little stuck in the current idea they have, I’d just say don’t be afraid to ask for help. MF: The past couple of months have been very interesting. We’ve grown so much, and I’m always priding myself on being someone who is super balanced. Like, I do really well with work-life balance and stress management — going to the gym, doing yoga at least four times a week, eating really well. But lately, I forget sometimes. I get so excited about this business — I’ll get up and I’ll check my phone, and I’m like, “Oh, I should answer these emails.” Not in a sense of, “Oh my God, I have all this work to do,” but in the sense of, “Oh I should really get started.” And I find myself in the grind, but I have to reel myself in and realize that if I’m not my best self personally, I will not be my best self for Snow Monkey, for my team, and for the company. Being a startup is like a lifestyle — it’s not just a job. So when I forget those things that are important to me, how do I get back there? How do I make sure that I’m always being myself? That’s been a hard thing I didn’t expect. RG: I’ve been really pleasantly surprised and just really flattered that we continue to grow. Our peer companies look to us as thought leaders, and I’m really excited about that aspect. When we have our heads down working every day, we don’t really see how our product is interacting with the rest of the world. We only know when people write to us or come up to us at events. I really do think as Snow Monkey continues to grow and we have more pints in more freezers across the U.S., we’ll then be able to really create a movement around looking at food as fuel and medicine, and showing that indulgence can be nutritious and delicious at the same time. Snow Monkey Superfood Ice Treat is available at $6.99/pint. Go here to order and indulge in ice cream healthfully!